There is a new 5-part documentary series on the horizon (release date TBD) that tells the story of how the experience of two world wars shaped the lives and literary imagination of two internationally famous authors and friends, J.R.R. Tolkien and C.S. Lewis. 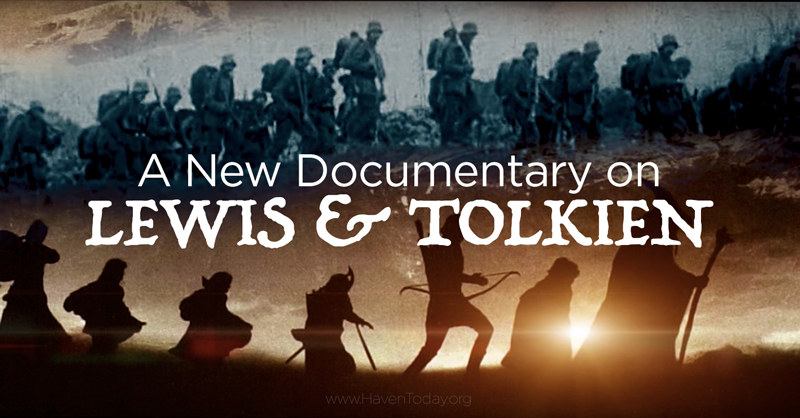 Based on Joseph Loconte’s New York Times bestseller A Hobbit, A Wardrobe, and A Great War, this documentary will trace the careers of both men at Oxford University after World War I, and their deepening faith and friendship as they encourage each other to finish their epic works of fantasy, The Lord of the Rings and The Chronicles of Narnia. Listen to our interview with Joseph Loconte. All week, we’ve had Dr. Loconte on Haven Today discussing the dramatic role World War One played in the lives, faith, and careers of J.R.R. Tolkien and C.S. Lewis. Get the Audiobook the series is based off of. In the first book of it’s kind, New York Times bestseller brilliantly tells the complete story behind Lewis and Tolkien’s experiences in the first world war and how it led them to create the famous characters we know and love. However you choose to engage in this story, we’re confident that it will deepen your faith and shed light on how Tolkien and Lewis both rediscovered faith, friendship, and heroism in the First World War.